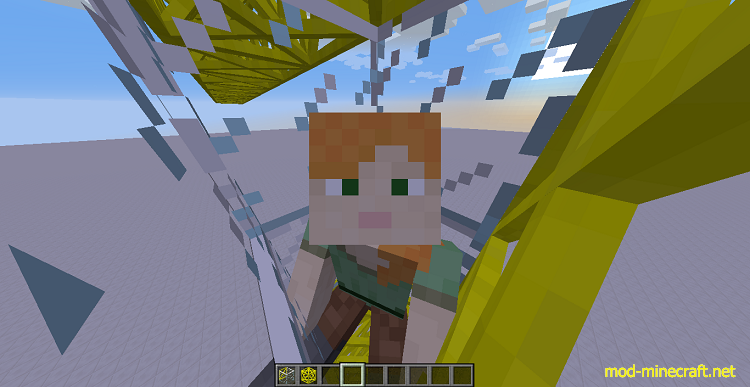 Cranes & Construction Mod adds cranes to Minecraft, making large repetitive structures a breeze. The cranes can be of any length and height and are completely modular. They extract items from your inventory to build with. 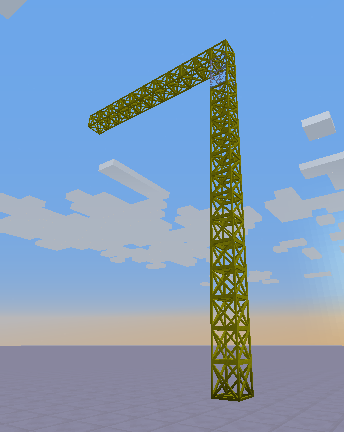 You get crane base blocks and build a 1×1 pillar as high as you want. 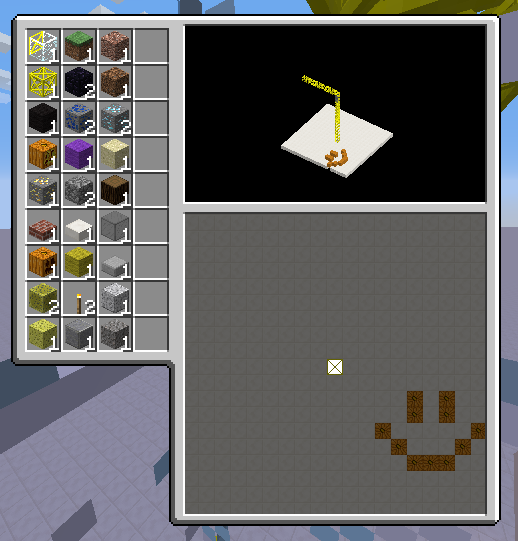 If you right click the base block of the pillar, it will automatically build the pillar for you as you click it. Somewhere on the pole, preferably almost at the top of it, replace 2 blocks from the pillar with crane cores which act as your seat. 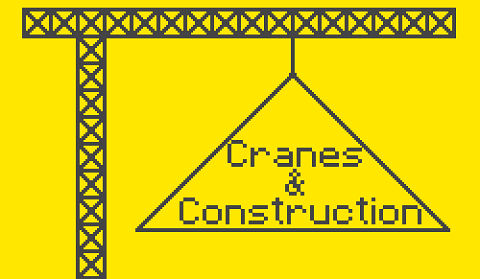 Next, place a horizontal line of the crane base blocks somewhere on the pole. The longer the line, the longer the range. Next, climb up the pole and right click the core/seat.